Win*Star 6.0 Standard has all of the features listed under Common Features, plus the ones listed below. Also, keep in mind that both Win*Star 6.0 Extended and the Win*Star Professional System have all of the features that Win*Star 6.0 Standard does, yet even more. Each higher level of the program is augmented with additional features, giving you a greater range of options. 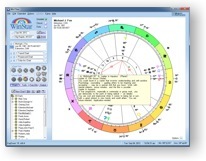 Search Lite is a truly useful astrology program. It has a search engine that can locate planet/aspect combinations and provide the times of their occurrence over a wide time span. 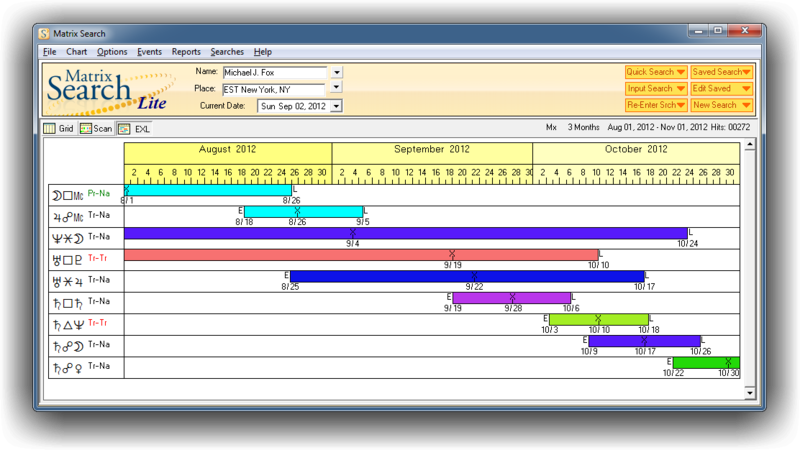 You need only to select a time span and then a set of planets and points in order to quickly view when chosen events occur. 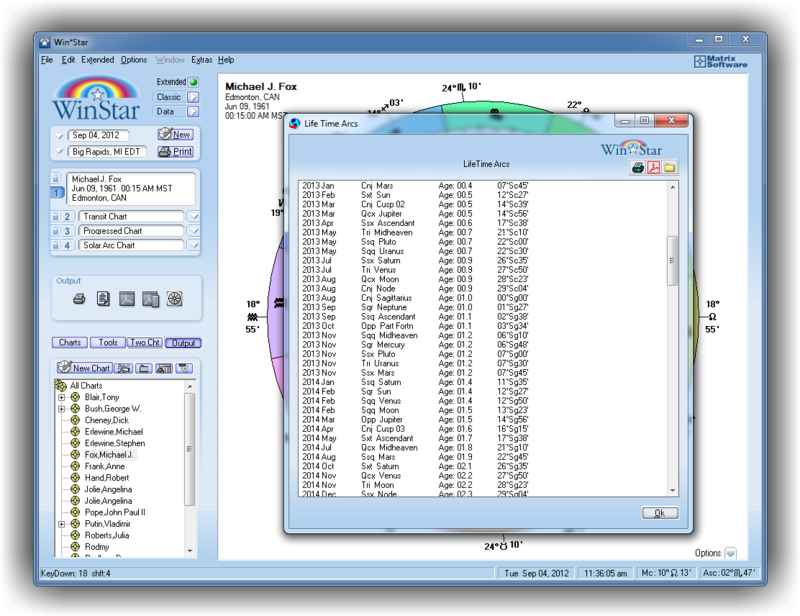 With Win*Star, searches are fast, accurate, and easy to accomplish. 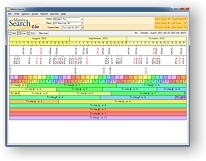 The Quick*Search menu is set up for customized search periods of: 1-Week, 1-Month, 6-Months, 1-Year, 3-Years, 10-Years, or 20-Years, or, just type your own search parameters into the input menu and set the program loose. In seconds, you can receive thousands of "hits" which accurately show when individual aspects—according to the �Search" and "Target" planets you have selected—occur. 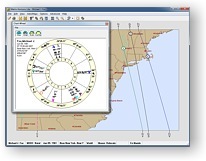 Add any planet, object, or point in the universe to your searches – Built into the program are standard points, including: Zodiac Point, Eclipse or Lunation before birth, Arabic Parts, Fixed Stars, Astro Expression, and Synodic Point. 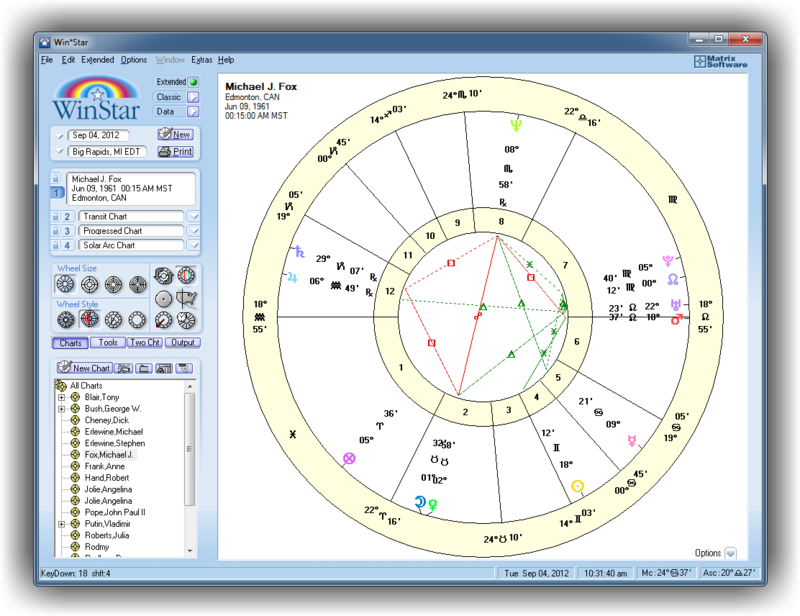 Also included are Natal chart points and Natal Cusps. Better yet, you can go where no astrologer has gone before, adding absolutely any object or point you consider significant. 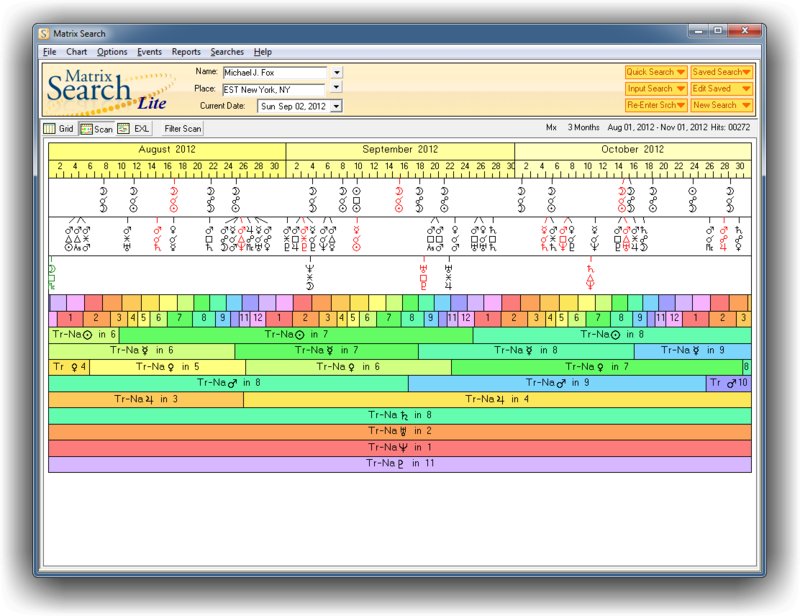 The flexible display lets you view your searches either as a scan (click and zoom) or as a list (click, and instantly pop-up a chart of that event)—see all of the influences at play in a given moment. Sorts and Filters are the key to any search, especially when you are able to produce life scans that may contain up to 32,000 hits. 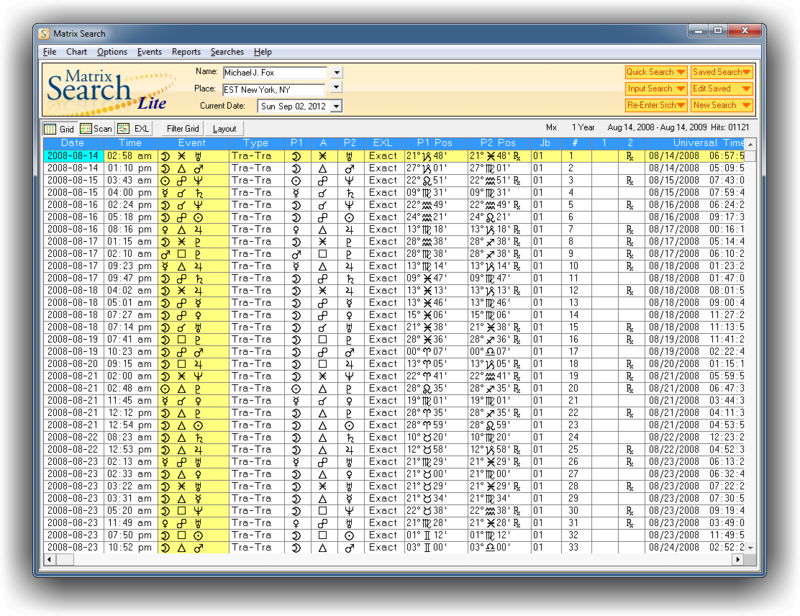 Matrix Search software lets you sort, sift, and filter your results, so that you can focus on exactly what you are looking for—seeing only what is important. 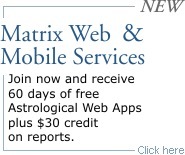 In the 1990s, Matrix Win*Maps broke new ground for astrologers who were offering their clients and customers relocation counseling. Horizons will take your own relocation work to an entirely new and better place. 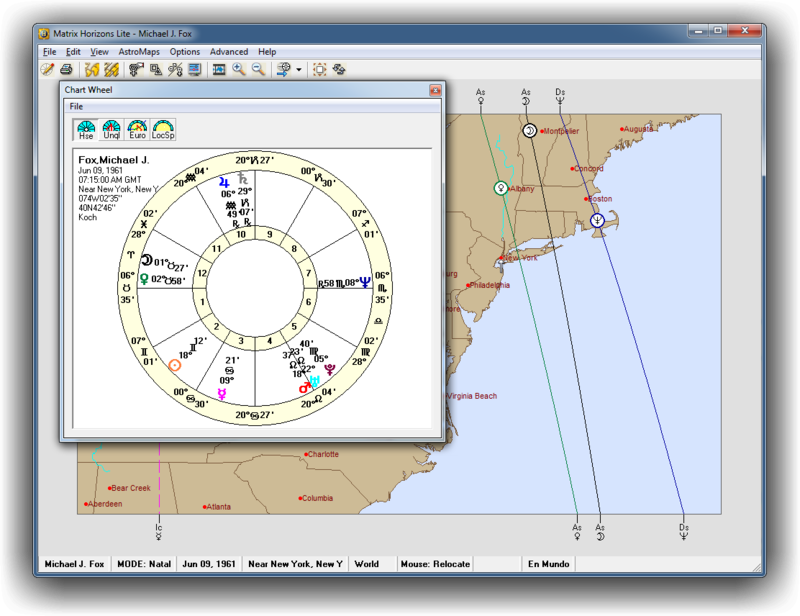 Use the Horizons Lite module to investigate a horoscope using two popular mapping techniques: "Local Space" and "Mundane Maps." 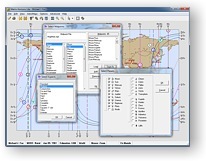 Choose from nineteen maps, either those covering major world areas or those covering much smaller areas, such as individual countries and states. These maps are ideal for quality printouts. You can also export them—the formats are designed for easy emailing to clients anywhere in the world. 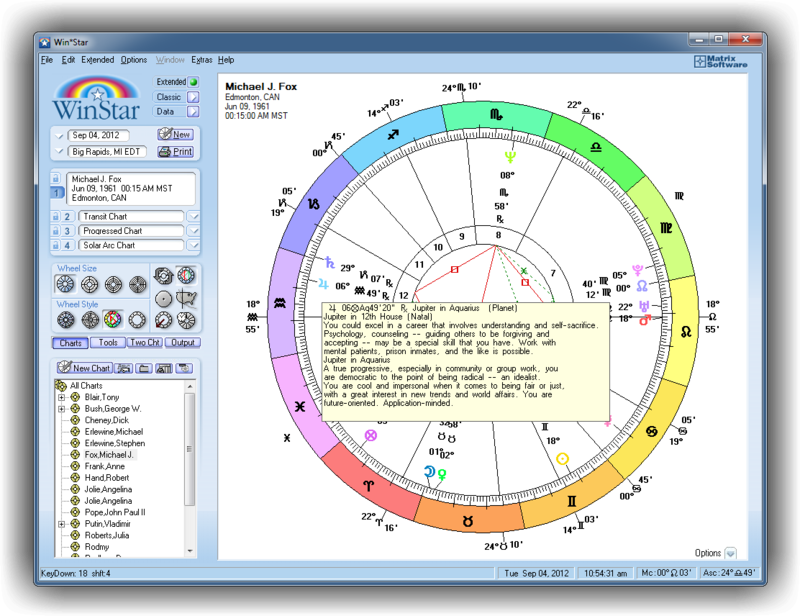 Total flexibility in choosing what to display and how to display it, including: Planets (also Uranians and key asteroids), aspects, midpoints, and parans. Click a button and instantly display house influences across a selected geographical area. 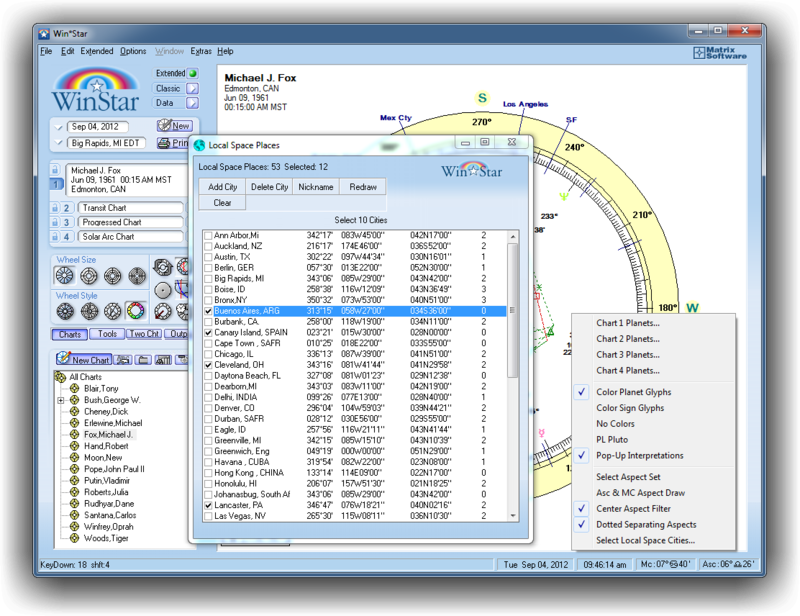 A mouse click will also let you display a relocated natal wheel or Local Space—for any location. 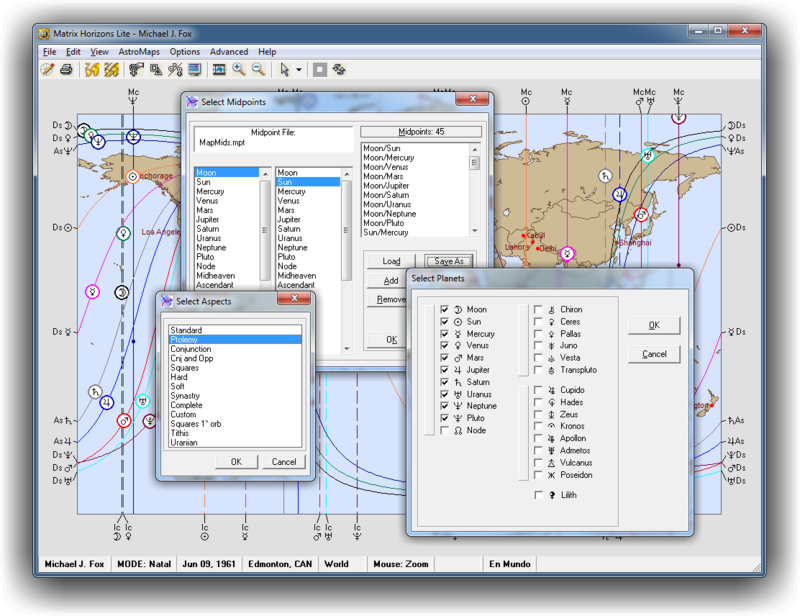 No fumbling with menus: Just click, and there you have your chart wheel. 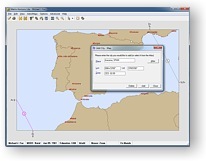 Click on a location and display all of the lines from that location, then, jump to another location: click and display. 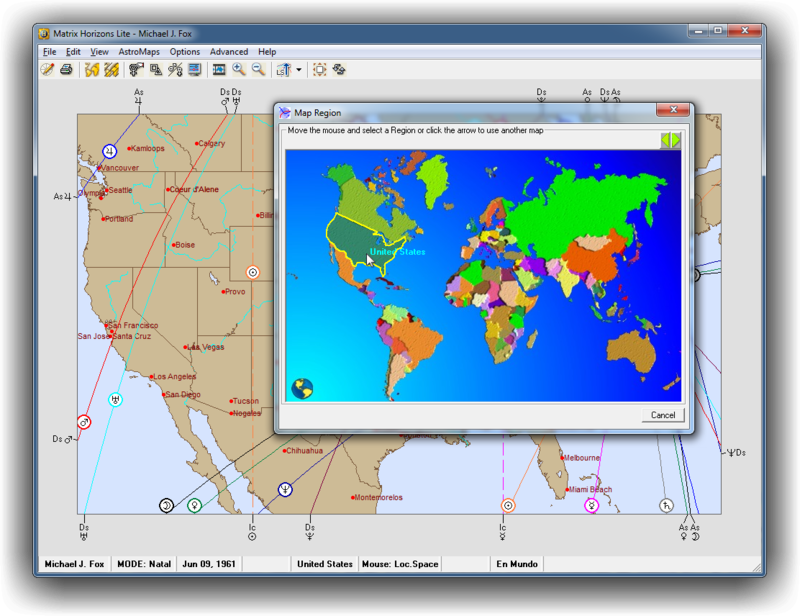 Move around the world as if you're in a private jet: Select any continent from the Map Region. Choose a region or a specific location. Click the mouse and zoom in for a close-up. Right click and widen the view to see what's around you. 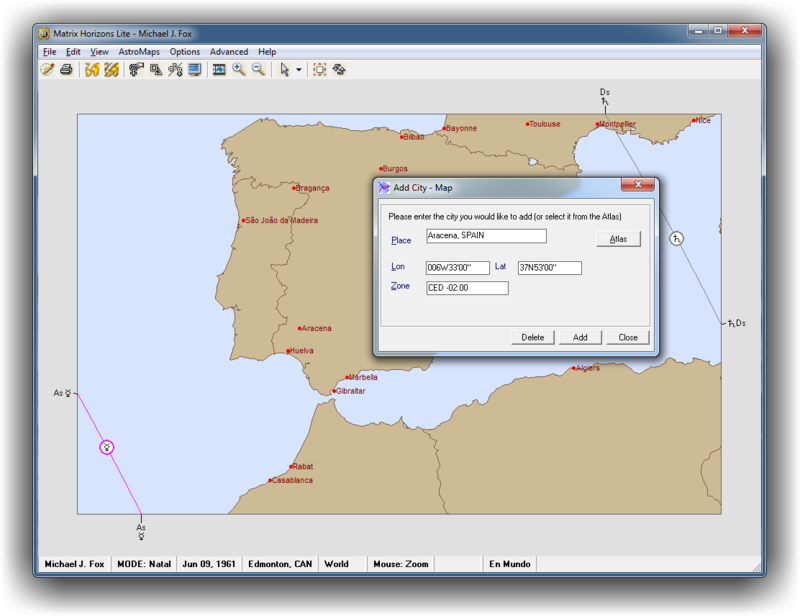 Quickly add or delete cities from any map using the complete ACS atlas, which has over 258,000 locations. 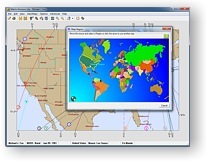 This atlas is included free in your Horizons Lite program. An animated map lets you view changing planetary influences. You have total control of the rate, change, and speed of the animation—choose, seconds, minutes, days, months, or years. 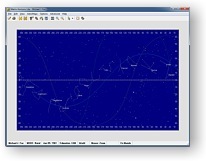 In the Sky Map mode, the Mundane Maps and Local Space techniques are used for mapping the heavens. Constellation Paths: Constellations can be plotted choosing either the zodiac or all of the constellations. 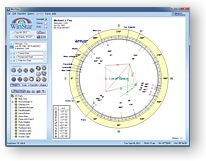 Ecliptic Sky Map: Plot celestial coordinates against geographic or sky maps. Win*Star Matrix has new Adobe PDF capabilities. 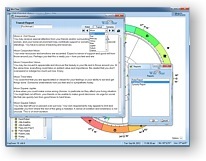 This improvement allows you to generate Adobe PDF files of your Chart Wheels with a touch of a button, making the production of a complete document fast and simple. 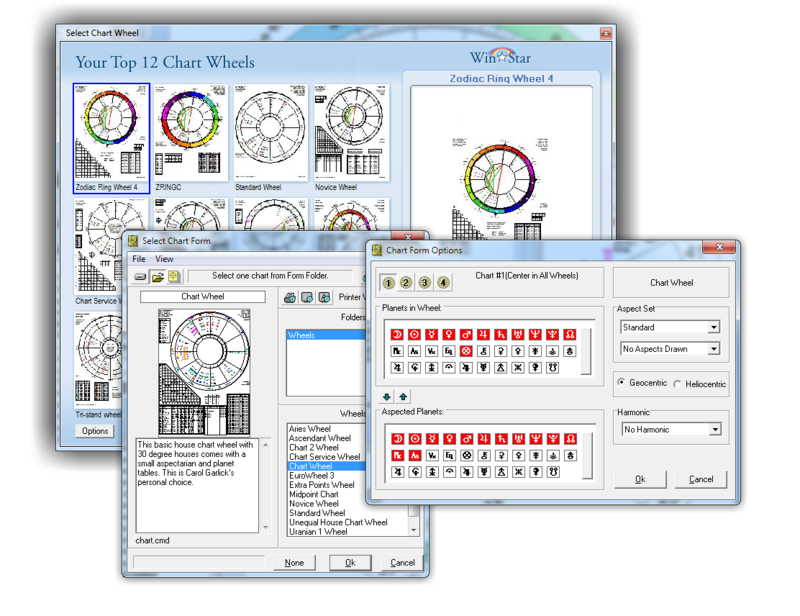 This option allows you to produce a live Wheel in most of the Classic chart forms without ever going to the Classic view and adding it first. It also enables economic and efficient distribution: It is ideal for quality printing, easy emailing to your clients anywhere in the world, adding to your website, etc. Whatever wheel you are currently working on can be converted to a PDF document. 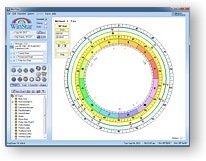 All the Matrix Wheels & Grids can be created in PDF. Wow!! 200+ wheels is a lot of wheels! 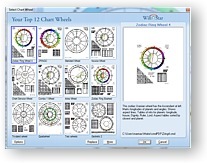 This new window will give you immediate access to the top twelve chart forms you use the most. Click the Options button to select what planets you want before adding the wheel. In the Options window you can select either planets with aspect lines, or, turn off aspect lines completely. 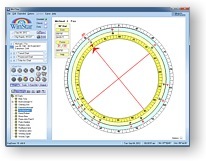 The 90° Dial is used to easily apply directed arcs to a natal chart. The dial has a 360° wheel in the center which shows the normal planet placements. 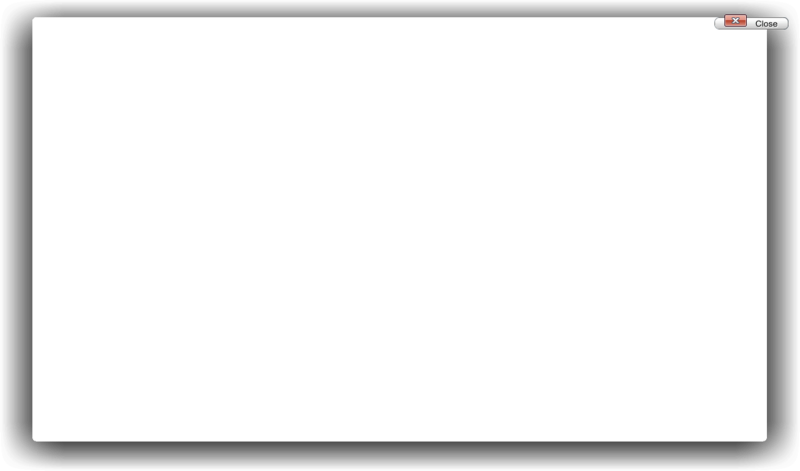 The outer two rings are divided into 90°. One ring has red glyphs and one ring black ones, making it easier to distinguish them. Each degree of the outer ring represents one year of time. Clicking in the outer ring will rotate the red planet glyphs to their position at that time. 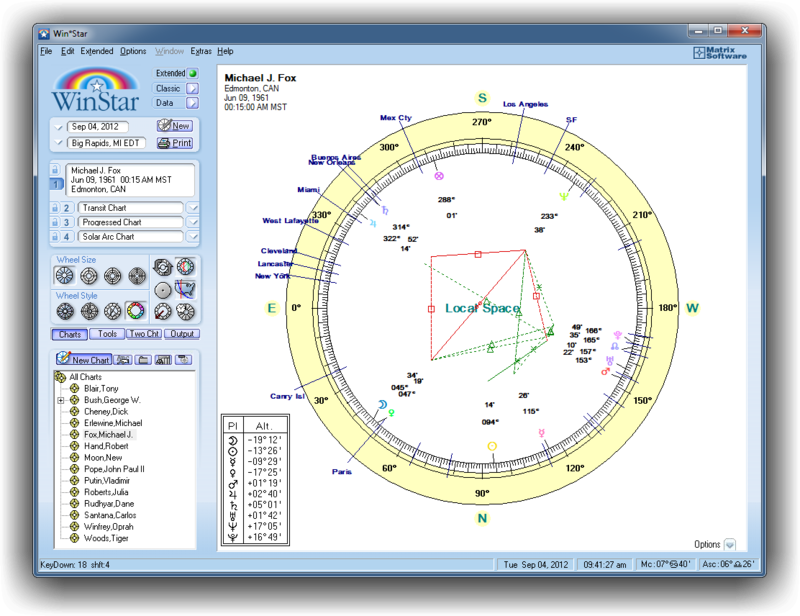 For example, click on the 15°-degree mark in the outer ring (which represents the native's 15th year) and see that the planets are directed accordingly. 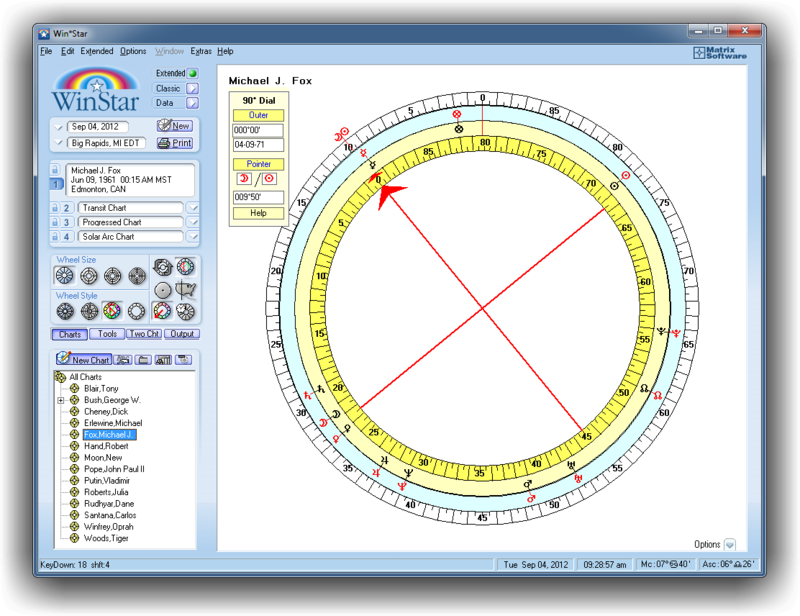 Two ways to direct the planets are: Directing planets on a 90° Wheel, and: Quickly finding midpoints. Click the blue ring and hold the button down to move the Ring. Arc and Date are updated as its moves. Click on the blue ring to rotate it, Arc and Date boxes are updated as it moves. Click on the yellow ring and rotate it to any position. 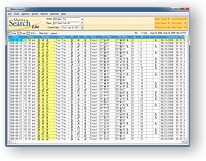 Now, type in a date or an arc and then set the outer ring to that arc/date. Hold Ctrl key and drag a planet to the box under the pointer (as it is pointing to any midpoint). 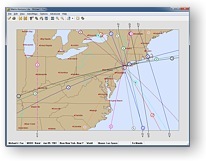 The Local Space technique processes your chart at any location into a map of the 360 degrees of horizon surrounding that location. 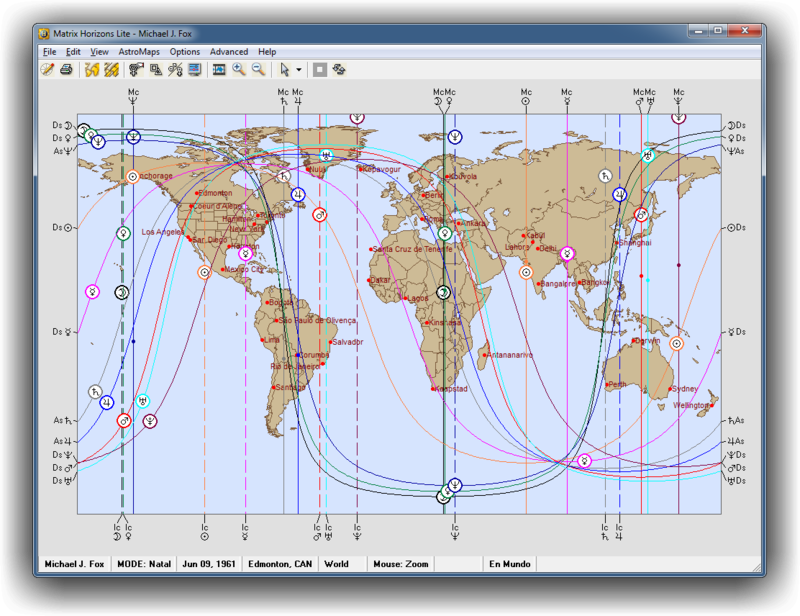 Your birth planets are projected using azimuth and altitude instead of the zodiac's longitude and ecliptic latitude. 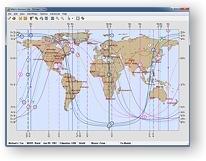 Local Space is used to show empowering directions, those corresponding to your planet positions at that point on earth. This technique can be applied to your immediate vicinity to help you find auspicious locations for various activities, such as where to plant a garden or in which direction to take a walk and experience tranquility. 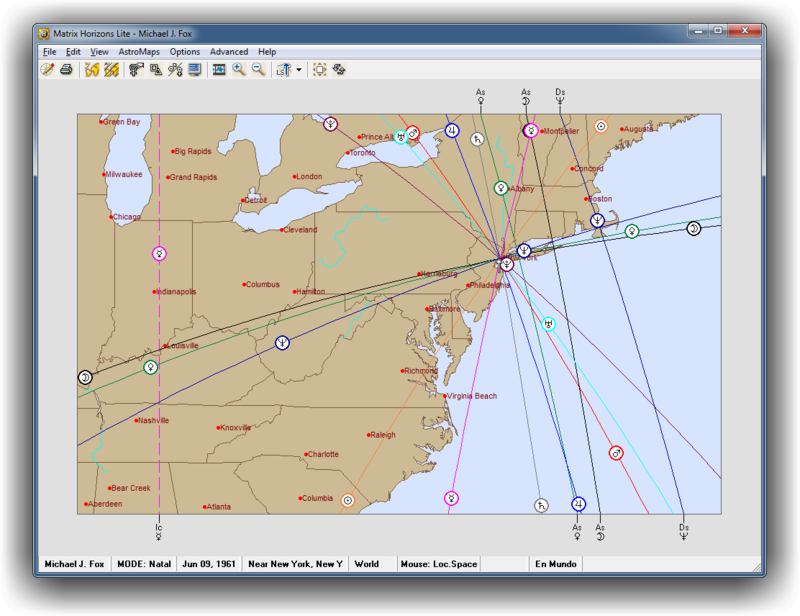 Processes your chart at any location into a map of the 360 degrees of horizon surrounding that location. 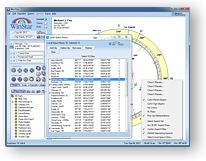 Once you are looking at a local space wheel you can select what cities are to be plotted on it! You can select these cities from a list by clicking on Options, and then selecting Cities in the bottom right hand corner. Win*Star has a completely new graphical interface! 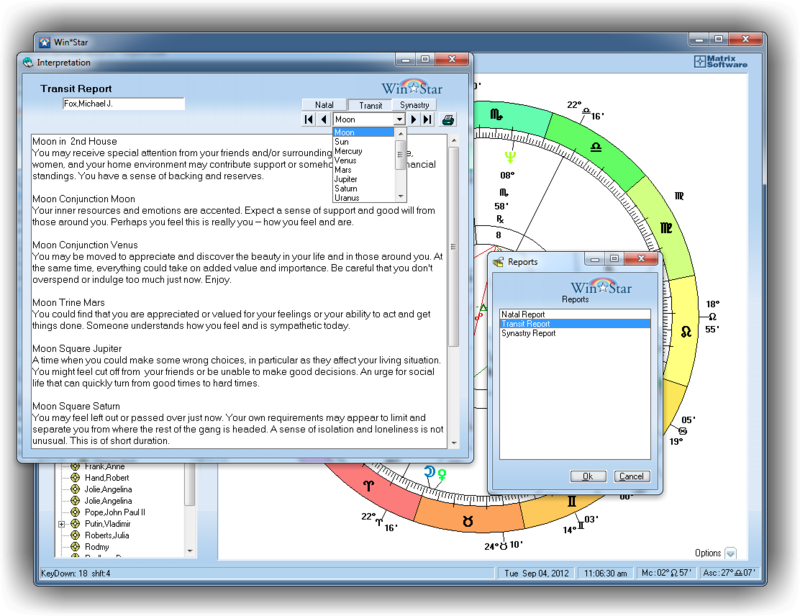 We now provide many new tools and features, but without leaving those already familiar with Win*Star Plus behind. You can work in the Classic view, which is very similar to Win*Star Plus, and work with Static wheels, or, you can work in the new Extended view, and work with Live wheels. 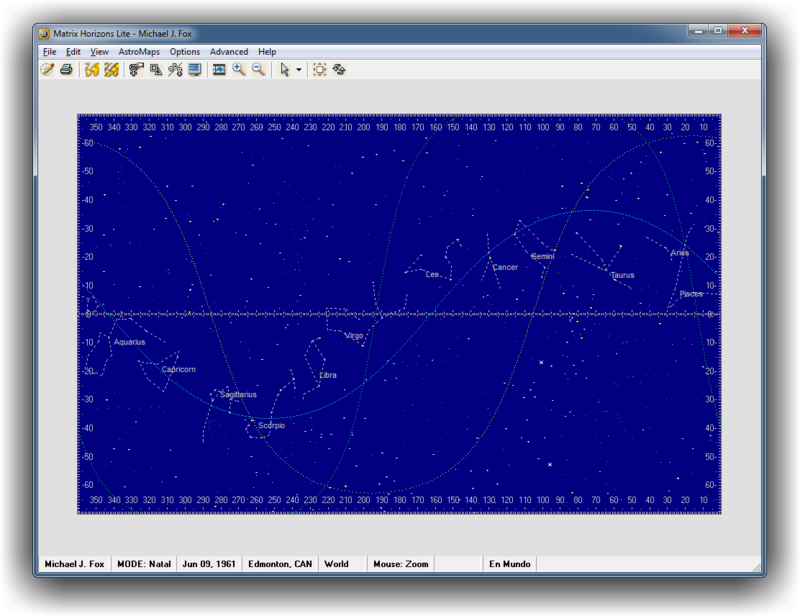 You still have access, in either of these new views, to all of the advanced chart data options you had in the Data view of the older version of Win*Star Plus. Classic View is very similar to Win*Star Plus V2 with Static wheels, but now you can size Wheel Width or Wheel Height, and Zoom in or Zoom out. Live wheels very similar to what you may have already seen in Win*Star Express. You resize the window and the wheel will resize too. You can choose from a Single Wheel to a Quad-Wheel, and from four wheel styles: Standard House, Unequal House, Euro Wheel, or Aries Wheel. In the Extended view you can click on either planets or house cusps for a quick pop-up interpretation: Left-click will give you a pop-up interpretation and Shift-Click will give you Sabian Symbols. Also, you can gather up all of the interpretations and view them in the interpretation tool, or, you print them out as a report. Left-click on any planet or house cusp for a pop-up interpretation. Shift-Click will give you Sabian Symbols. 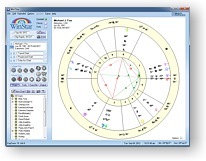 With this tool you can gather up all of the interpretations and view them, or, you can print them out as a report. 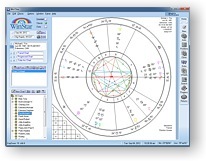 �As the curator of a very large astrological library, I have a good idea of what students of astrology are looking for, and one thing needed is a plentiful collection of accurate diagrams and illustrations. The old saying that a picture is worth 1,000 words is especially true with astrology, and this is why I was interested in creating this course. No book publisher would even consider allowing us to have almost one thousand color illustrations, which is why we chose the e-book format." �And, I wanted something more than just the same old, same old. Of course, all of the basics are here, but in addition to the traditional material, I felt it important to cover what someone wishing to become a professional astrologer must do, as well as how one might start an astrological business—setting up an office, advertising, and all of that mundane but very important information. 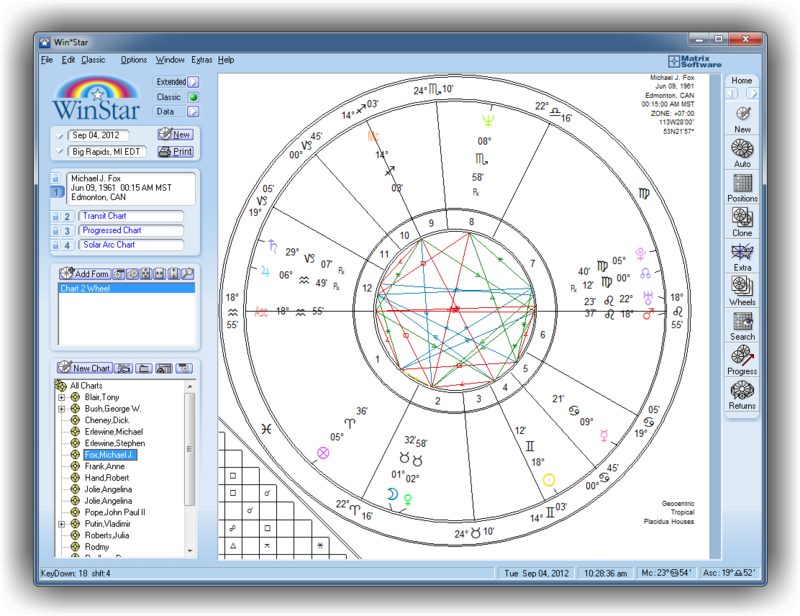 Equally important is the detailed section on how to become an astrological counselor: how to do readings, and what to expect from your clients and from yourself." Life Time Arcs shows a list of logarithmically determined dates starting from conception and extending to the default age of 99 years. 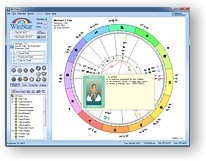 It is based on New Vision Astrology, an astrological method developed in 1972 by A.T. Mann.